“What is the business of the executive with the election of principal officers of the National Assembly? The way the party is going about it is exposing Senator Lawan. 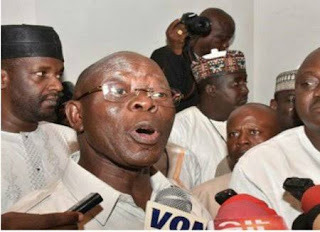 The action of the National Chairman of APC, Adams Oshiomhole, is like that of a headmaster giving instructions to his pupils.